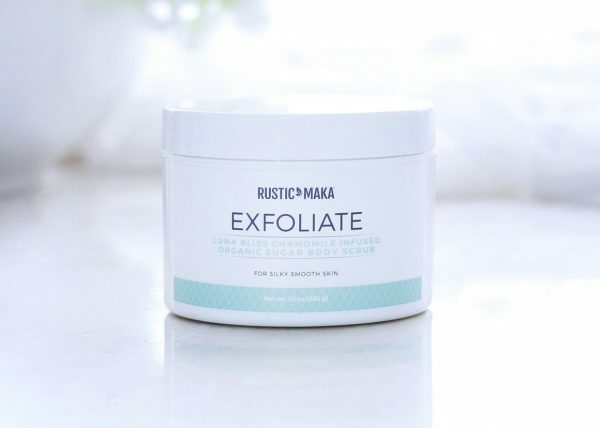 This exfoliating body scrub from Rustic Maka means no more dry, flaky skin. Delivering silky smooth skin, this scrub exfoliates with organic cane sugar and nourishes with chamomile infused camellia oil. So much body love! 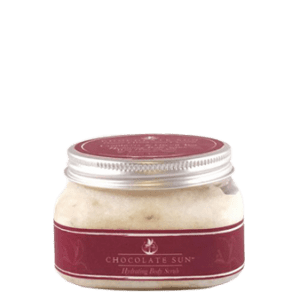 This body scrub polishes the skin to baby-soft perfection, while nourishing chamomile-infused oils penetrate deep to seal the moisture in, and a healthy dose of plum oil delivers skin-benefiting active compounds and essential fatty acids. 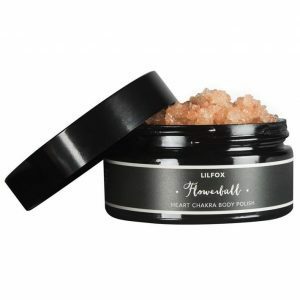 To Use- Scoop up a small amount and apply to wet skin during bath or shower. Massage gently in a circular motion. Rinse and pat dry. Scent- A blissfully clean, powder-crisp scent with just a hint of light floral aroma. The smell of this exfoliate leaves me in absolute heaven! This is my favorite product and I love that they have a deodorant that smells the exact same! This leaves my skin silky smooth, soft, and exfoliated. The product is not harsh on the skin, it gives a gentle exfoliation, in my opinion. If you are trying to get a deep and rough scrub, this doesn’t quite give that, but its better on this skin this way! I highly recommend!